Six students were recognized for outstanding presentations during the 2018 CVT Workshop! Congratulations to Dr. Ciara Sivels, CVT Fellow, on her accomplishment as the first African American woman to earn a Ph.D. in Nuclear Engineering from the University of Michigan! Read more here as the Huffington Post covers this accomplishment. CVT exposes high-school students to the field of nuclear engineering. Congratulations to Prof. Sara Pozzi on her recognition as an INMM fellow!! Prof. Sara A. Pozzi was elected an Institute of Nuclear Materials Management Fellow in July, 2018, “in recognition of her distinguished contributions to the field of nuclear materials management”. CVT hosted the first workshop on “Real-time Digital Radiation Measurements in Field Programmable Gate Arrays (FPGA)”. The workshop introduced Hardware Description Language (VDHL) in the Xilinx ISE Project Navigator (14.7) environment. Through a series of practical examples, attendees learned how to simulate, synthesize, and implement FPGA program modules for radiation measurement applications, such pulse-shape discrimination and multi-channel analysis. During the last day, participants programmed and tested FPGA-based digital processing systems for radiation detection and spectroscopy. This edition features highlights of activities and achievements from June 2017 – May 2018. Click here to download a copy. Physics today features CVT researchers in an article titled, “Nuclear weapons dangers and policy options”. 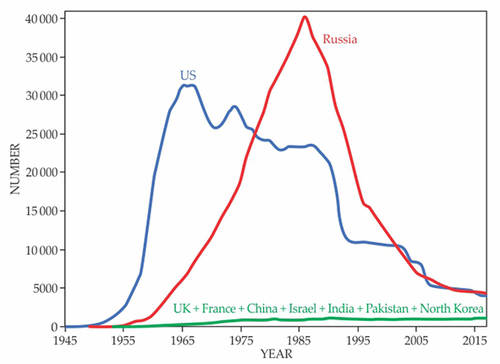 With the end of the Cold War, most physicists turned their attention away from the nuclear threat. It is now time for us to re-engage in the debate over how to reduce the dangers from nuclear weapons. How do you prove a country tested a nuclear weapon, and who’s keeping an eye on this stuff? Researchers at Oregon State and University of Michigan are part of the crew doing this work. Professor Sara A. Pozzi named new Executive Editor of Annals of Nuclear Energy! Read more on this accomplishment here. Congratulations to our student award winners at the CVT Workshop! Congratulations to Mark Walker (Princeton U. ), Jason Vaverek (MIT), and David Goodman (U. Michigan) for recognition as best student presentations at the 2017 CVT Workshop! Learn more about this opportunity here! The Michigan Engineer features the efforts of the Consortium for Verification Technology in their recent article titled, “Out of the Cold War’s Shadow – The new technology of nuclear nonproliferation”. photo: Sara Pozzi, U-M professor of nuclear engineering and radiological sciences and director of the Consortium for Verification Technology (CVT), next to a newly installed linear accelerator in the U-M Nuclear Engineering Laboratory. The accelerator will be used to test new types of radiation detectors. Congratulations to CVT scientists for their recent publication Scientific Reports titled, “Active neutron and gamma-ray imaging of highly enriched uranium for treaty verification”. Photo (left to right): Dr. Michael Hamel, Prof. Sara Pozzi, and Dr. Shaun Clarke are photographed with the Dual Particle Imaging system at the University of Michigan. Abstract: The detection and characterization of highly enriched uranium (HEU) presents a large challenge in the non-proliferation field. HEU has a low neutron emission rate and most gamma rays are low energy and easily shielded. To address this challenge, an instrument known as the dual-particle imager (DPI) was used with a portable deuterium-tritium (DT) neutron generator to detect neutrons and gamma rays from induced fission in HEU. We evaluated system response using a 13.7-kg HEU sphere in several configurations with no moderation, high-density polyethylene (HDPE) moderation, and tungsten moderation. A hollow tungsten sphere was interrogated to evaluate the response to a possible hoax item. First, localization capabilities were demonstrated by reconstructing neutron and gamma-ray images. Once localized, additional properties such as fast neutron energy spectra and time-dependent neutron count rates were attributed to the items. For the interrogated configurations containing HEU, the reconstructed neutron spectra resembled Watt spectra, which gave confidence that the interrogated items were undergoing induced fission. The time-dependent neutron count rate was also compared for each configuration and shown to be dependent on the neutron multiplication of the item. This result showed that the DPI is a viable tool for localizing and confirming fissile mass and multiplication. Congratulations to Dr. Andreas Enqvist for receiving the INMM Early Career Award! Dr. Andreas Enqvist has been selected for the Institute of Nuclear Materials Management (INMM) Early Career Award. This award recognizes members of the INMM who are 35 years of age or younger and who have made a singular outstanding achievement or a series of notable achievements in an area of nuclear materials management relevant to the institute and its technical divisions. The award was formally acknowledged at the INMM Annual Meeting Opening Plenary on July 17, 2017. CVT Fellow, Aditi Rajadhyaksha, tells her journey of learning about nuclear engineering and participating in the 2017 undergraduate fellow program. Congratulations to CVT Associate Marc Paff for receiving the J.D. Williams Student Paper Award, 1st place, at the 58th annual proceedings of the Institute of Nuclear Materials Management. Marc’s paper is titled, “Identification of mixed sources with an organic scintillator-based radiation portal monitor”. CVT Associate, recent graduate Dr. Michael Hamel demonstrates 2-D visualization of gamma ray imaging at the University of Michigan’s Nuclear Engineering Laboratory. Two sources (hotspots) are shown in the image below. The instrument used to acquire these images is the Dual Particle Imager (image, bottom), developed by the DNNG group at the University of Michigan (led by Prof. Sara Pozzi). The imager is also capable of fast neutron imaging and energy spectroscopy. Scientists, Igor Jovanovic and Kyle C. Hartig, are recognized in Scientific Reports for their work titled “Two-dimensional fluorescence spectroscopy of uranium isotopes in femtosecond laser ablation plumes”! 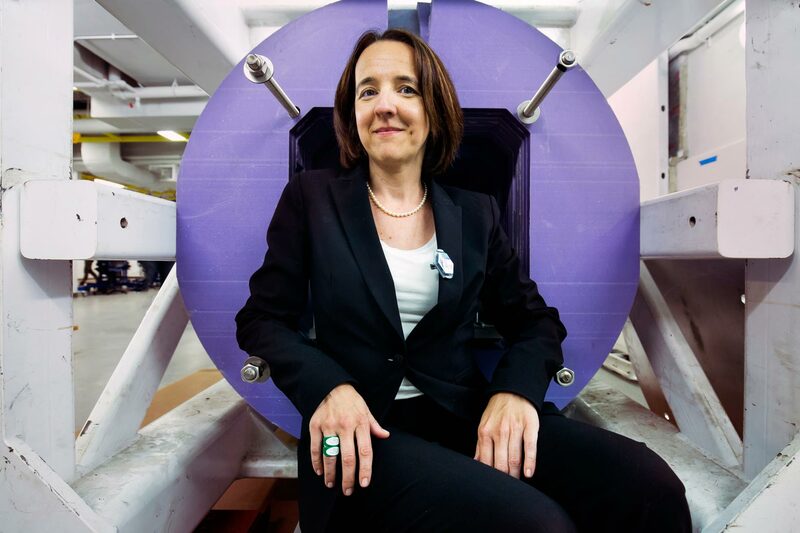 Professor Sara Pozzi, CVT Director, was elected Fellow of the American Nuclear Society! 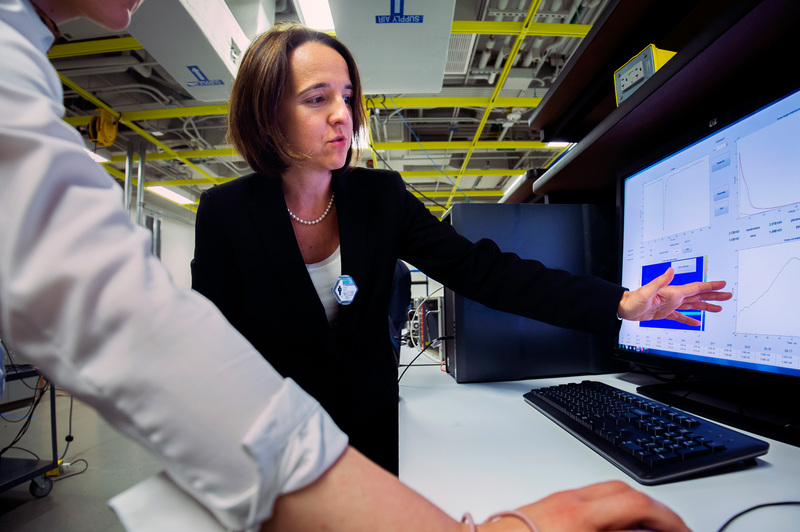 Professor Sara Pozzi was elected Fellow of the American Nuclear Society. The election to the rank of Fellow within the Society recognizes the contributions made to the advancement of nuclear science and technology through the years. It is the Society’s highest membership grade, to which a select group of professional associates have been elected. The selection comes as a result of nomination by peers, careful review by the Honors and Awards Committee, and election by the Society’s Board of Directors. Congratulations! View Prof. Pozzi’s bio here. The CVT leadership took an opportunity to visit with DNN R&D sponsor representatives in Washington DC this spring. CVT progress was highlighted during this visit producing great feedback and collaboration. Explore our site to learn more about the CVT mission, personnel, and activities! 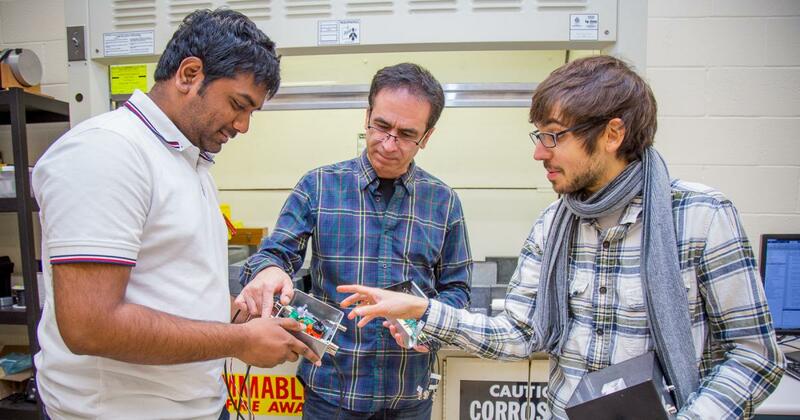 Professor Igor Jovanovic, University of Michigan, (photo right) and Kyle Hartig (photo left), former CVT fellow, have shown that a technique often used to identify chemicals at a distance can also distinguish between ordinary uranium-238 and the fission-prone uranium-235. You can read the full article here at the Michigan News website. CVT students are recognized for their excellence! Crystal Green (left) receives the Distinguished Leadership Award and Ciara Sivels (right) is honored with the Marian Sarah Parker Prize. Both students are Ph. D. candidates at the University of Michigan. Three University of Michigan Ph.D. candidates (from left to right: Marc Ruch, Mark Norsworthy, Michael Hamel) traveled to Oak Ridge National Laboratory (ORNL) in January 2017 for a 3-day experimental campaign. Dr. Paul Hausladen of the Nuclear Material Detection and Characterization Group hosted the students as they measured the response of EJ-309 liquid scintillator detectors to fast neutrons from an associated-particle D-T neutron generator. The experiment was designed to isolate pulses created by neutrons scattering on carbon nuclei in the scintillator, building on previous work at ORNL conducted in the 1960s. University of Michigan undergrads! Take advantage of this opportunity to learn from top research scientist in the field of nuclear nonproliferation and detection. Learn more about this fellowship opportunity here! Click here to learn more about our 2017 Lab Scientist Fellowship opportunity! Applications are due Dec. 15, 2016. You can complete our online registration form by clicking here. Enjoy photos from the 2016 CVT Workshop here! The Princeton team hosts Lt. Gen. Frank Klotz! Crystal Green, CVT Graduate Associate at the University of Michigan, receives Women of Color STEM Conference Leadership Award! Save the date for the upcoming 2016 CVT Workshop! University of Michigan PhD Candidate and CVT Graduate Associate, Marc Ruch, is recognized for best student paper at this year’s ANS conference for Advances in Nuclear Nonproliferation Technology & Policy Conference. left to right: Mateusz Monterial, CVT Graduate Associate, Marc Ruch, CVT Graduate Associate, Professor Sara Pozzi. Nature Communications features an article titled, “A physical zero-knowledge object-comparison system for nuclear warhead verification.” The research was led by members of our CVT team including Sébastien Philippe, Robert J. Goldston, Alexander Glaser, & Francesco d’Errico. 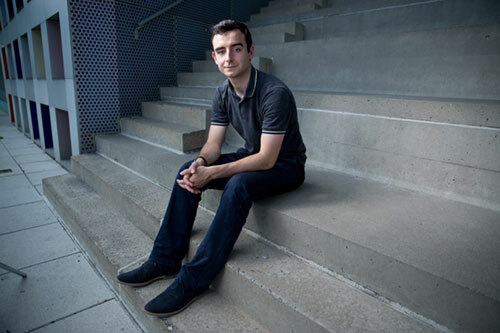 CVT Graduate Associate, Jayson Vavrek, is featured in an MIT NSE article on his efforts with turning particle detectors into weapons detectors. The system Vavrek is developing, along with his advisor Areg Danagoulian, Assistant Professor of NSE, is called physical cryptography. CVT Graduate Students win Fuel Cycle Research Awards! CVT Graduate Students, Marc Paff and Marc Ruch, have won awards in the 2015 Innovations in Fuel Cycle Research Awards sponsored by the U.S. Department of Enercy, Office of Fuel Cycle Technologies. Both students are PhD candidates in the Nuclear Engineering and radiological Sciences department at the University of Michigan. Marc Paff, a Ph.D. student in Nuclear Engineering and Radiological Sciences, has been awarded a First Place prize in the Open Competition in the category of Material Protection, Control, and Accountancy. His award-winning research paper, “Organic Liquid Scintillation Detectors for On-The-Fly Neutron/Gamma Alarming and Radionuclide Identification in a Pedestrian Radiation Portal Monitor,” was published in the journal Nuclear Instruments and Methods in Physics in July 2015. Marc Ruch, a Ph.D. student in Nuclear Engineering and Radiological Sciences, has been awarded a Second Place prize in the Open Competition in the category of Material Protection, Control, and Accountancy. His award-winning research paper, “Pulse Shape Discrimination Performance of Stilbene Coupled to Low-Noise Silicon Photomultipliers,” was published in the journal Nuclear Instruments and Methods in Physics in September 2015. For more information on the Innovations in Fuel Cycle Research Awards program, visit http://www.fuelcycleinnovations.org. Congratulations to Dr. Shaun Clarke, CVT Assistant Director, who received the 2016 INMM Early Career Award! Dr. Shaun Clarke (center) is accompanied by Dr. Corey Hinderstein (INMM Vice President, left) and Dr. Larry Satkowiak (INMM President, right). Verifiably reducing the number of nuclear weapons in the world will require more than international diplomacy; a scientific breakthrough is needed. To date, all nuclear arms control treaties have been limited in a peculiar way: Participants cannot determine that the warheads of other countries being counted are real. Shaun Clarke, CVT Assistant Director, with CVT students put on a workshop for middle school students and their families about the basics of radiation titled “Are you radioactive?”. Participants learn how to see and measure radiation, one of the most powerful and mysterious forces in the universe. Activities included building a radiation detector using everyday household objects to observe the natural radiation that is all around us. Learn how to build your own Cloud Chamber! 2016 CVT Newsletter available here! The CVT project has been making an impact in the field of nuclear non-proliferation! Find some highlights within this newsletter on ongoing projects, our award winning research team, and other notable accomplishments. CVT Fellow, Ciara Sivels, has the winning poster for student competition at the UITI 2016 meeting. Professor Sara A. Pozzi is featured in “Celebrating Women in Physics” in this Elsevier Special Issue. This article features a compilation of papers that have been authored by outstanding women scientists in high level Physics publications, ranging across various disciplines, from Epitaxial growth of topological insulator Bi2Se3 film on Si(111) to the design of optimal light delivery system for co-registered transvaginal ultrasound and photoacoustic imaging of ovarian tissue. These articles were selected by the Editors of those respective publications. Dr. Pozzi is being featured for her publication titled “MCNP-PoliMi: a Monte-Carlo code for correlation measurements“. 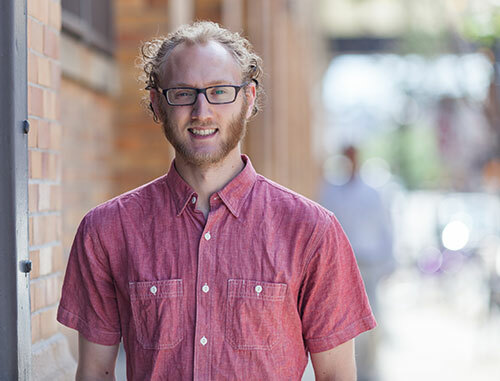 R. Scott Kemp receives prestigious Sloan Research Fellowship! CVT scientists Milton Garces (University of Hawaii) and John Lee (University of Michigan) are in the process of obtaining infrasound and radionuclide data, respectively, from the International Monitoring System. These data, together with the seismic data, will provide excellent research and educational opportunities for the faculty and students in the CVT. The Consortium for Verification Technology (CVT) is funded by the Defense Nuclear Non-Proliferation Research and Development office (DNN R&D) of the U.S. Department of Energy National Nuclear Security Administration under award #DE-NA0002534. The CVT consists of thirteen leading universities and nine national laboratories, working together to provide the research and development and human capital needed to address technology and policy issues in treaty-compliance monitoring. The underlying issues include nuclear nonproliferation and safeguards in support of the mission of the NNSA’s Defense Nuclear Nonproliferation Research and Development office. The university partners to the consortium are University of Michigan (UM), Massachusetts Institute of Technology (MIT), Princeton University, Columbia University, North Carolina State University (NCSU), University of Hawaii (UH), Pennsylvania State University (PSU), Duke University, University of Wisconsin (UW), University of Florida (UF), Oregon State University (OSU), Yale University, and University of Illinois at Urbana-Champaign (UIUC). The university participants will execute research projects in collaboration with the DOE national laboratories, including Brookhaven National Laboratory (BNL), Los Alamos National Laboratory (LANL), Lawrence Livermore National Laboratory (LLNL), Sandia National Laboratory (SNL), Idaho National Laboratory (INL), Oak Ridge National Laboratory (ORNL), Pacific Northwest National Laboratory (PNNL), Lawrence Berkeley National Laboratory (LBNL), and Princeton Plasma Physics Laboratory (PPPL). The Consortium for Verification Technology (CVT) and the Consortiu for Nonproliferation Enabling Capabilities (CNEC) are hosting the Seventh MCNPX-PoliMi Training Workshop at the University of Michigan campus Johnson Rooms on June 21, 22, & 23, 2016. Seating is Limited. Registration will be accepted on first-come-first serve basis. In this video, we follow an IAEA safeguards inspector at a gas centrifuge uranium enrichment plant in the Netherlands. Uranium enrichment, a process in which the proportion of fissile U-235 isotopes is increased from 0.71% to up to 6% for industrial use, is an essential step in the preparation of nuclear fuel. However, the nuclear material and technology at enrichment plants can also be used to manufacture weapons grade uranium (over 85%). The IAEA verifies that all nuclear material and activities are declared by the State, and that no nuclear material is diverted from peaceful purposes. In the film, the inspector explains and demonstrates how she collects samples, checks inventories, and verifies enrichment levels – all to ensure that material is not being diverted to nuclear weapons or other nuclear explosive devices. Inspectors, equipment, techniques and technologies are critical components of IAEA safeguards. CVT Workshop at the Campus Inn, Ann Arbor, October 15, 2105. A two day conference held October 15-16th marked the end of the first year of the Consortium for Verification Technology, a project comprised of 13 universities and nine national labs tasked with analyzing nuclear nonproliferation efforts and improvements in nuclear monitoring and detection technologies. Click here to read more about this year’s workshop and view photos from the event! Congratulations to the 2015 American Nuclear Society (ANS) Student Design Competition winners! The winning team includes CVT students (Crystal Green, Jennifer Nguyen, and Matthew Krupcale) from the University of Michigan. Their project “Zero Knowledge Active Interrogation of Nuclear Warheads” won in the Graduate Category. CVT holds a successful workshop! Above: Attendees at the 2015 CVT Workshop pose for a group photo on October 15, 2015. The Consortium for Verification Technology held a very successful annual workshop on October 15th and 16th, 2015 at the Dahlmann Campus Inn in Ann Arbor, Michigan. The workshop was attended by 84 participants consisting of 47 professionals and 37 students. 36 talks and 21 posters were presented during the duration of the workshop. Of the 57 presentations, 16 talks and 17 posters were presented by CVT student and postdoctoral fellows and associates. CVT Chief Scientist, Professor David Wehe, organized a two-day radiation detection and measurement short course. David Wehe teaches a Radiation Detection Short Course at the IEEE Nuclear Science Symposium, November 2015. CVT Associate is a 2015 Young Mind Finalist! Emily King, CVT Undergraduate Fellow at the University of Michigan, is selected as a 2015 Young Mind Awards Finalist! Emily’s video submission can be viewed on her profile page linked here. See our OPPORTUNITIES page for information on our CVT/National Laboratory Collaboration program! presenting invited seminars and lectures. The CVT will support up to 4 national laboratory scientists to spend up to two weeks researching at CVT universities in collaboration with faculty and students. Support includes transportation, lodging, and meal/incidentals expenses. A brief report will be submitted at the end of the appointment. The Consortium for Verification Technology was successful in organizing the first university-led radiation measurement campaign at the Device Assembly Facility at the Nevada National Security Site. The goal of the experiments was to characterize the performance of three unique radiation imaging systems in the presence of large quantities of special nuclear material including 4.5 kg of weapons grade plutonium and 13 kg of highly enriched uranium. The systems included a dual-particle scatter camera and a photon scatter and coded-aperture camera from the University of Michigan. The third imaging system was a coded-aperture neutron imaging system being developed at Oak Ridge National Laboratory. The week-long experiments provided excellent benchmark data and operational experience for each imaging system with sources that are not typically accessible to researchers. Four University of Michigan students took part in the experiments. CVT students earn recognition for design work from ANS! Twenty-nine of the nation’s top scientists wrote to President Obama on Saturday in support of the deal, which calls for Iran to curb its nuclear program and allow inspections in return for an end to sanctions. You can read the letter herein. CVT Associate Matthew Marcath is recognized as an 2015 Innovations in Fuel Cycle Research Award Winner! 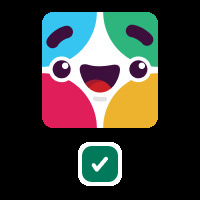 See the announcement here. Photo Memories from UITI 2015! radiation detection, advanced materials, remote sensing, safeguards and simulations, algorithms and modeling. 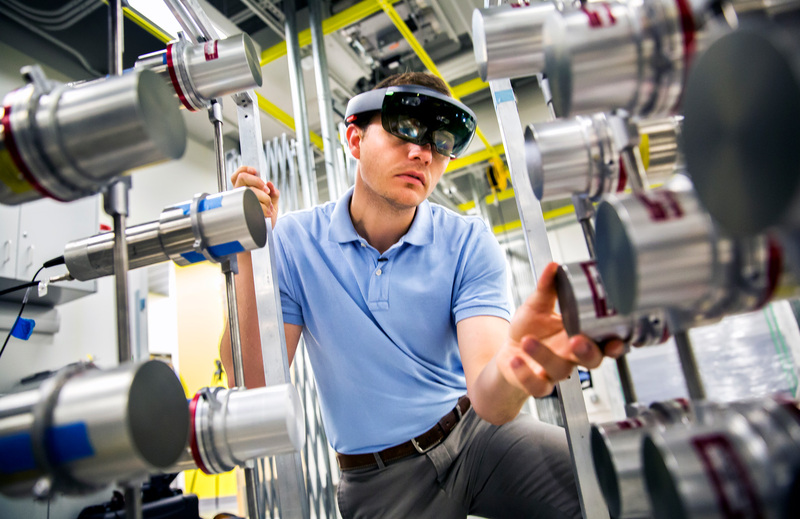 In addition, the Department of Energy (DOE) National Laboratories will each provide an overview poster of their DNN R&D sponsored research programs. Representatives from U.S. government agencies involved in nuclear security and non-proliferation will be in attendance. Anne Harrington is Deputy Administrator for Defense Nuclear Nonproliferation for the National Nuclear Security Administration. View Ms. Harrington’s Presentation online! On February 3rd, 2015, Dr. Sara Pozzi presented her research on Scintillators for Nuclear Nonproliferation and Nuclear Physics Studies at a seminar at the Lawrence Berkeley National Lab. Undergraduate Students at the University of Michigan learn detection techniques. While there have been intense recent efforts to improve upon fission theory, this talk focuses on achieving the best possible phenomenological understanding of fission. Paul conducts research on the theory of seismic wave propagation, the physics of earthquakes, the interior structure of the earth, and the application of seismological methods to explosion and earthquake monitoring. CVT Kick-off Workshop a Success!! The Consortium for Verification Technology held a very successful Kickoff Workshop on October 16 and 17 at the Campus Inn in Ann Arbor, MI. A total of 58 representatives from 13 collaborating universities and 9 national laboratories were present, including 10 CVT fellows (PhD students and post-doctoral researchers). Four representatives from DOE NNSA were also in attendance. The participants are internationally recognized leaders in the field of nuclear nonproliferation and safeguards. The workshop agenda included 26 oral presentation from faculty participants, 9 presentations on the national laboratory capabilities, and 10 poster presentations from the CVT fellows. The CVT is led by Professor Sara Pozzi from University of Michigan and represents a 25 M$/5 year investment by DOE to address the pressing needs in nuclear treaty verification and develop the next generation of experts in this field. The institutions and key personnel selected for this effort have a record of excellence in the areas of interest to the CVT. These researchers and educators are fully committed to the development of the next-generation of nuclear science professionals. We gratefully acknowledge the Department of Energy, National Nuclear Security Administration, NA-22, for funding the Consortium for Verification Technology!